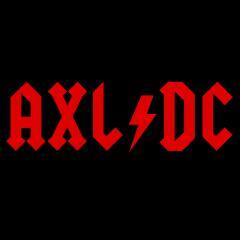 The "Axl/Slash/Duff + 2 Mystery Players Re-banded But Not A Reunion Tour" Thread - Announcement Imminent! Slash comments on talking with Axl again - "It was probably way over due. It's very cool." GUNS N' ROSES TO PLAY COACHELLA APRIL 2016 - CONFIRMED! Summer 2016 North American Tour Announcement - 'Not In This Lifetime" - Dates and Venues Announced!